This quote is soo me! 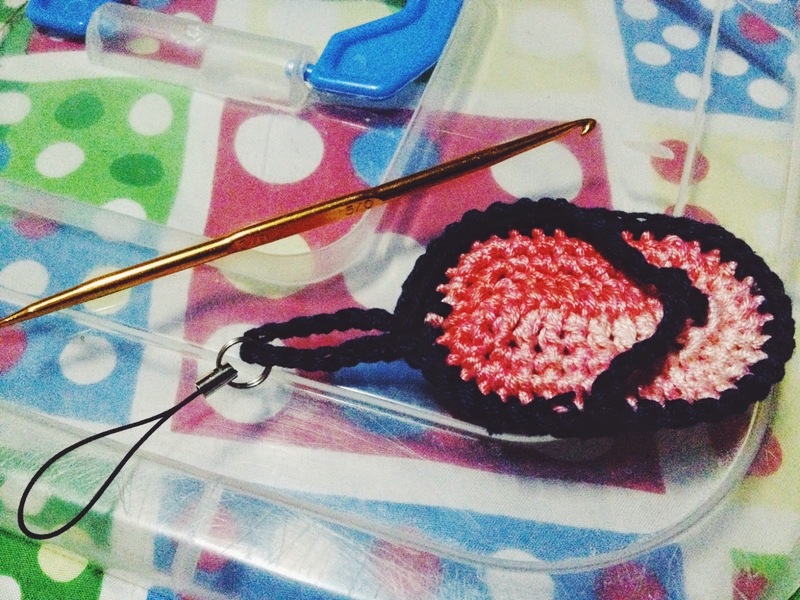 I never thought that crocheting will be a fun hobby! I first learned it during Elementary days under the subject T.H.E. (The Home Economics). The subject also taught us to embroidered, cross stitch, sew, cook etc. And I am so happy that I am a good student before and I always listen to my teachers because I got to incorporate those learning's on my life. I am not really sure if they still teach those things in public schools. 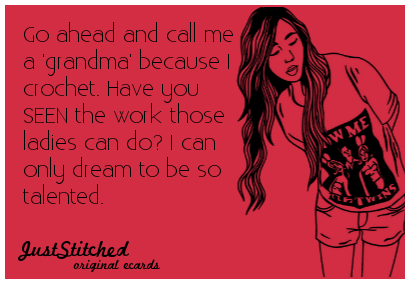 I can't remember when was the time I stopped crocheting. 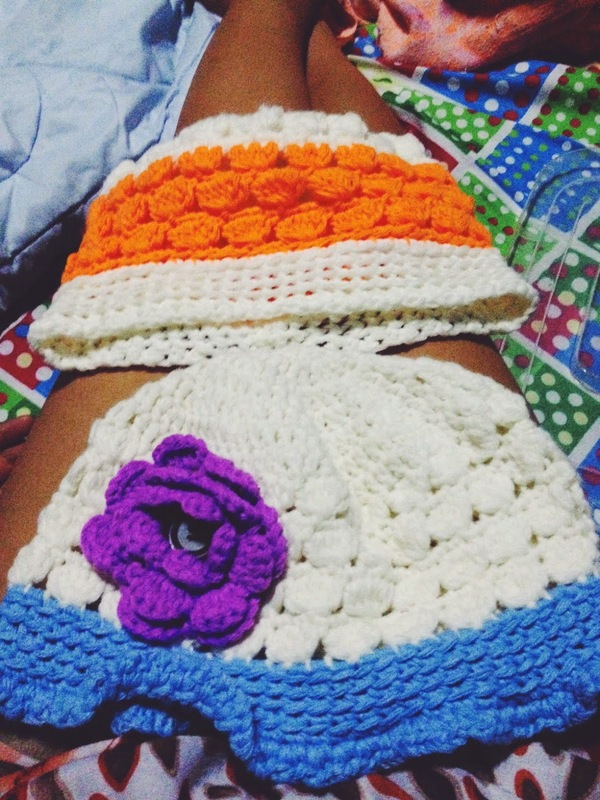 All I know is that I started on crocheting back again when I was working in SYKES. I had an office mate, Mommy Rose who is also fond of crocheting, who made the crocheted headsets earmuffs for our team. Someone from the other team is selling pairs for 40 pesos which is quite expensive. So me and Mommy Rose decided to make our own for our team. I told her that I also knew how to crochet and will help her as long as she will give me patterns (I am really bad with making my own patterns). Then from that day forward I can't stop on doing crochet. 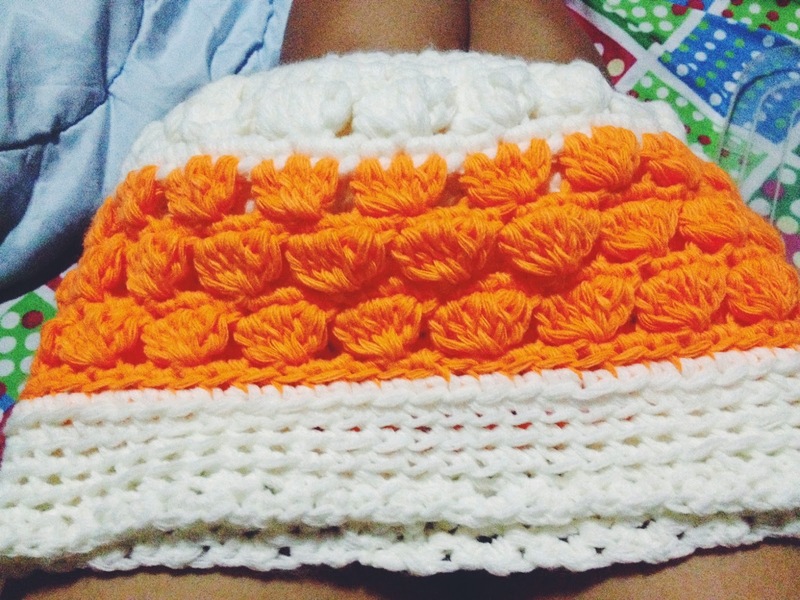 The good thing about crocheting is you can make your own gifts for your friends & loved ones. Aside from its made with love, it is unique and you can't find it anywhere else. If so, it's a little bit expensive because it is 100% handmade. 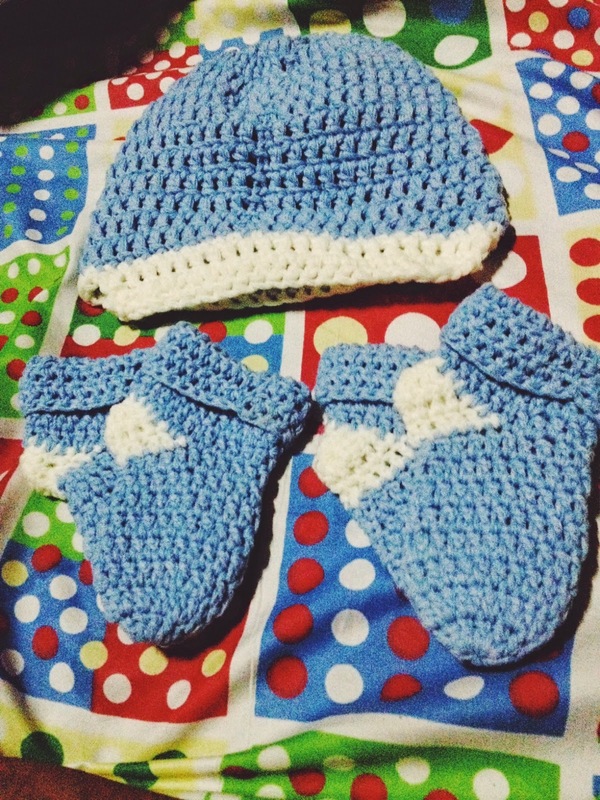 I already made 2 pairs of crochet beanie for my twins and a lot more crochet projects. And because of that I am receiving some orders from my friends. The problem is I can not accommodate the orders because doing one crochet project is time consuming. I can only do crochets when the twins are asleep or during weekends. Speaking of gifts, this is the best month to create crochets to give to someone. I decided to DIY some of the gifts that I will be giving to my close relatives. Recently, I made 2 Cluster Crochet Beanies for my Auntie who have cancer. And just this month, I have two new nephews from my cousins. I made a newborn beanie and a pair of socks. I also made a Slippers Crochet Keychain that I am planning to give to some of my auntie's and cousins. I found the pattern here. I am planning to give a lot of DIY gifts this month, but I really can't make it. So many ideas, so little time!